How long 'ya think until the first team completes it? 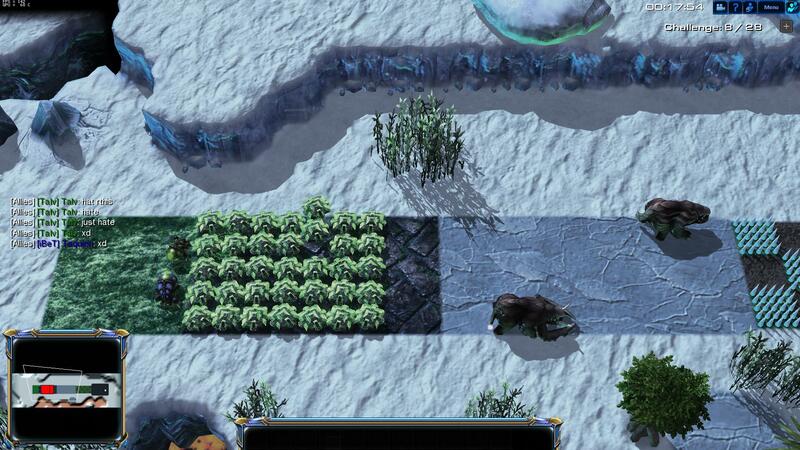 Ice Baneling Escape 2 has been released! GLHF, see you on the ice! How long 'ya think until the first team completes it? With 28 challenges total, it's going to be tough! Woohoo! If you have suggestions or bug reports please put them in the appropriate forum. It's pretty fun as a challenge, but once its beaten i dont know if it will be played repetativly like it was with ibe1. I guess i have to accept fact that ibe2 has completely different style than ibe1. Anyway i'm still impressed by variety of lvls and overall design, despite that im not enjoying it that much like i was enjoying ibe1. I have to say good job. Extrem need fix! Some levels are impossible! I don't like extreme at all on some levels you just die because you don't have time shift so you can't win because it is the first level. The map with 2 rounds of bugs or whatever are they called with minerals in middle you need t3 or maybe t2 to win and being first level again you can't win, larva level the ones that follow you the number of larvas is just insane you can't move without die, even ivan couldnt win that . The same with other levels that force you to have time shift and art since the beginning i dont like that at all. I have seen few lvls i dont want to think the last ones on extreme and im talking on normal speed not speedy because that's impossible on speedy. I want what would you do some levels on normal the former. Back zealot to work, it's probably drunk and the big bird.